The typical life expectancy in the UK has never been longer, but with longer life comes the risk of living with serious disease or a debilitating condition in later life. Some of the leading causes of death in the UK are heart disease, dementia (including Alzheimer’s disease) and stroke. Yet research suggests that the risk of suffering from any of these diseases is up to 90% ‘modifiable’ through a mixture of lifestyle and environmental factors. So what practical things can you do to cut your risk of developing such a condition? 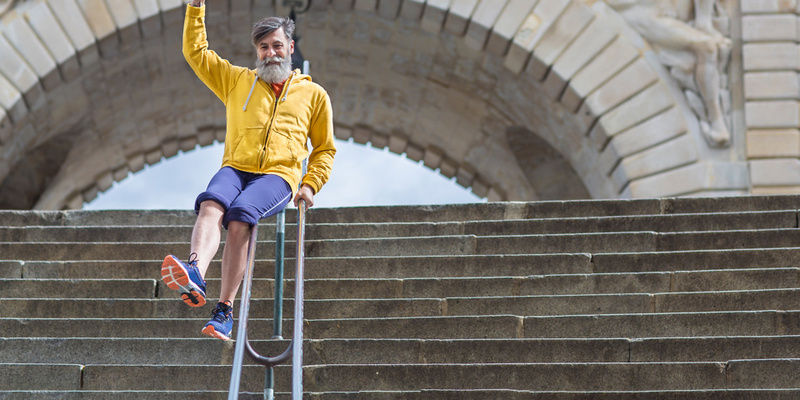 We asked the leading experts in their fields to review the latest evidence and provide suggestions of the lifestyle changes that can best help to see you into a healthier old age. Studies show that people who score positively on a range of indicators of mental wellbeing have a lower risk of cardiovascular disease, stroke, frailty, chronic conditions – and stronger immunity and physical functioning. Though some of this comes from how you developed during childhood, you can develop the skills to increase your wellbeing at any stage of life. Connect: research shows that developing supportive relationships enhances wellbeing, increases longevity and decreases dementia risk. Be active: getting moving enhances mental and physical health. Being outside in the natural world brings additional benefits for wellbeing. Be more mindful: This can mean meditation practices but also involves being present in the moment; stopping to appreciate a view or focusing on how your body is feeling. Trials have shown that people starting to practice mindfulness develop greater self-awareness and a greater capacity to self-regulate or handle negative emotions or relationships in a constructive way. Most people report feeling less stressed and more resilient. Keep learning: Especially things you have never done before (painting, singing, music etc). This is important for dementia prevention, too – engaging in cognitively stimulating activities can improve the brain’s ability to adapt, despite neurological damage or deterioration. Give: volunteer, work, get involved in community projects to protect yourself and others from social isolation. Sarah adds that focusing on the positive and making a concerted effort to be thankful for the good things in life, rather than focusing on the negative, can be very helpful in improving mental wellbeing. The cost to the world economy of physical inactivity were recently calculated to be over £50bn – and this is likely to be a significant underestimate – as The Lancet study only looked at the impact of five serious diseases. We should all be doing 150 minutes of moderate aerobic activity, 75 minutes of vigorous minutes or a mix of the two – one vigorous minute equates to two moderate minutes. If you want to do more, the World Health Organisation (WHO) guidelines for healthy adults suggest increasing your totals to 300 minutes moderate or 150 minutes of vigorous for additional health benefits. It’s unlikely that the average person will get to a point where they stop reaping additional benefits from exercise. The evidence is that sedentary behaviour increases your risk of mortality even if you are reasonably physically active. Too much sitting is believed to slow our metabolism, putting us at increased risk of heart disease, diabetes, some types of cancer and obesity. Take an ‘active break’ (getting up and moving around) from sitting every 30 minutes. Related: six ways to improve your heart health for 2018. Government guidelines recommend you do strength exercises on two or more days a week that work all the major muscles (legs, hips, back, abdomen, chest, shoulders and arms). But this isn’t inevitable and you don’t have to go to a gym to stay strong. Repetitive arm exercises using tins of food or water bottles, bodyweight exercises (eg full or modified press-ups), or carrying bags of shopping home can all count if done for long enough. Daily exercises as simple as walking heel and toe forwards and backwards, standing on one leg using a stable chair as support or a repeated simple sit to stand movement will have muscle strength benefits and improve your balance. Emerging evidence shows an association between hearing loss and dementia. Why exactly isn’t known, but Professor Gill Livingston led a 2017 Lancet Commission on Dementia, which identified nine risk factors accounting for 35% of dementia cases. Professor Livingston says that researchers think it possible that people with impaired hearing could experience a loss in brain stimulation from not being able to fully interact in conversations, or listen to the TV or radio. Hearing loss can also increase social isolation and the chance of developing depression, which are also risk factors for dementia. In any case, hearing better will improve your quality of life. So if you or people close to you think you might be struggling to hear, visit your GP and ask to be referred to a specialist or book yourself a private hearing test. Bear in mind that hearing aids can take some time to adjust to, and you may need several visits to your audiologist to set it up perfectly for you – so do persevere if you don’t feel the benefits immediately. For more advice read our guide on how to get the best hearing aid. If there’s one supplement that we should take, it’s Vitamin D. Vitamin D helps your body to absorb calcium and to regulate the immune system. But while your body is able to generate Vitamin D from sunlight, production is limited by the sensible practices of staying out of the midday summer sun and using sun cream. Even using an SPF8 reduces production of vitamin D by 95%. While Vitamin D is added to some foods, it’s hard to get enough from diet alone, so everyone should take a 10 microgram supplement daily, ideally all year around. People with poor oral health are more likely to suffer from other systemic diseases. In particular, those who suffer with periodontitis (advanced gum disease), are more likely to suffer from cardiovascular disease. But whether one condition actually causes the other is less clear. Some short-term trials have found that treatment of periodontitis led to an improvement in cardiovascular risk markers, but we don’t yet have the evidence that treating gum disease could prevent cardiovascular disease. Irrespective of the hard evidence, it makes sense to look after your teeth and to keep plaque at bay (as this can lead to periodontitis) through good brushing, interdental cleaning and regular visits to your dentist. To find the right electric toothbrush for you visit our electric toothbrush reviews. At this time of year we’re bombarded with seemingly endless adverts for fad diets, but the diet with the most evidence supporting it is what’s known as the ‘Mediterranean diet’. First promoted in the 1950s, population studies have continued to support it as an effective way of reducing the risk of developing serious threats to health such as high blood pressure, raised cholesterol and type 2 diabetes. The oil traditionally associated with the Mediterranean diet is olive, but rapeseed is also a very healthy option. Herbs and spices have their own anti-inflammatory and anti-oxidant benefits, but should also help stop you reaching for the salt. Too much sodium is one of the biggest threats to blood pressure. A big part of the Mediterranean diet (more like the Mediterranean lifestyle) is also being physically active and socially engaged. Eating and cooking with others is recommended. These aspects have additional mental and physical health benefits.